“We are deeply saddened by this horrific incident and want to show our support to the victims and their families. Working with United Way Worldwide, this donation allows us to help make a difference in our community that has been deeply impacted by this tragedy,” said Simon Beckett, head of Wells Fargo’s Commercial Distribution Finance business in Australia and New Zealand. Wells Fargo’s Commercial Distribution Finance business has six team members based in New Zealand, including two in Christchurch. In 2018, Wells Fargo donated $444 million dollars to approximately 11,000 nonprofits, primarily in the U.S. Wells Fargo team members also donated 2 million hours of volunteer time in 2018. For the 10th consecutive year, the United Way Worldwide recognized Wells Fargo for having the No. 1 workplace giving campaign in the U.S.
United Way is engaged in nearly 1,800 communities across more than 40 countries and territories worldwide. They are focused on creating community-based and community-led solutions that strengthen the cornerstones for a good quality of life: education, financial stability and health. For more information, please visit https://www.unitedway.org/about. About Wells Fargo Commercial Distribution Finance. 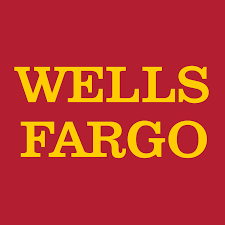 Wells Fargo Commercial Distribution Finance TM (CDF) is the trade name for certain inventory (floor planning) services of Wells Fargo & Company and its subsidiaries including Wells Fargo International Finance (Australia) Pty Ltd and Wells Fargo International Finance (New Zealand) Limited. Wells Fargo International Finance (Australia) Pty Ltd and Wells Fargo International Finance (New Zealand) Limited are subsidiaries of Wells Fargo & Company. Neither Wells Fargo International Finance (Australia) Pty Ltd nor Wells Fargo International Finance (New Zealand) Limited are authorised by the Australian Prudential Regulation Authority (APRA) as an Authorised Deposit taking Institution (ADI) in Australia, licensed or regulated by the Australian Securities and Investments Commission (ASIC) as a Australian Financial Services Licence holder or registered with, licensed or regulated by the Reserve Bank of New Zealand (RBNZ) as a registered bank or a non-bank deposit taker in New Zealand. CDF provided $41 billion in financing for more than 30,000 dealers and more than 1,200 distributors and manufacturers globally in 2017. Wells Fargo CDF TM provides inventory financing solutions, service and intelligence through in-depth industry expertise and commitment. Programs include inventory and accounts receivable financing, asset-based lending, private label financing, collateral management, and related financial products. For more information, visit wellsfargo.com/cdf or follow company news via Twitter @WellsFargoB2B.